Thirty-five years into a historic career, do we still need the parody king? The first track on “Weird Al” Yankovic’s 14th studio album, Mandatory Fun, is “Handy,” a do-it-yourself-themed parody of Iggy Azalea’s “Fancy,” because of course it is. 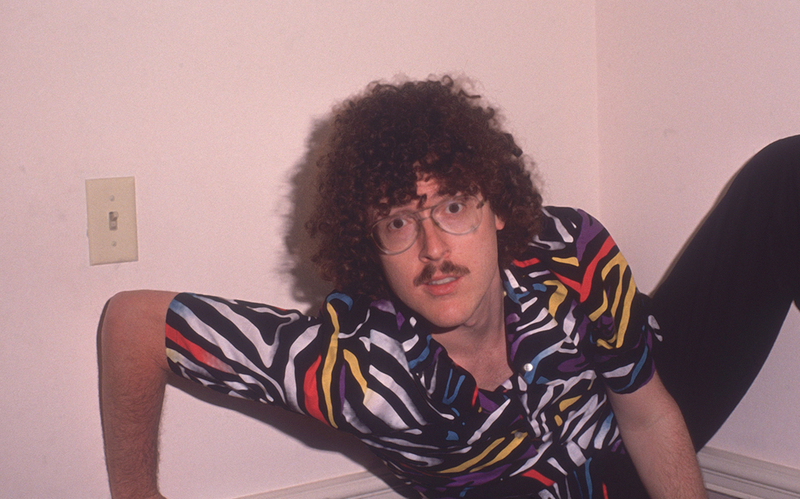 Songs like “Fancy” have been Weird Al’s bread and butter for decades. “Fancy” is inarguably popular, reigning as our nation’s top tune for nearly two months. It is also inarguably distinctive, which is a diplomatic way of saying “famously annoying.” The public is primed to laugh at this goddamn song already, just as it was ready to laugh at “Beat It,” “Smells Like Teen Spirit,” and “Gangsta’s Paradise,” among Weird Al’s multitude of past targets. Of course, Weird Al is no longer the only guy who notices that songs like “Fancy” are fertile ground for comedy. As Yankovic and I spoke on the phone about Mandatory Fun last week, Jimmy Fallon’s Neil Young–ified rendition with the actual Crosby, Stills & Nash from the previous night’s Tonight Show was being inserted into my Twitter feed by virtually every pop-culture website.1 Then there are the 113,000 or so videos you get when you punch “Iggy Azalea Fancy parody” into YouTube. “Handy” is better crafted than its amateur competitors — as always, Weird Al worked with top-notch musicians to create a near-perfect replica of the original track. But it already feels late, and “late” is usually worse than “lesser quality” these days. Weird Al is the General Motors of song parodies — the best-known brand bolstered by an outdated infrastructure that its CEO must retool for modern times. It doesn’t help that Yankovic’s generosity gums up the rate of production. Since the early days of his career (starting with “I Love Rocky Road,” a redux of Joan Jett & the Blackhearts’ 1982 hit “I Love Rock N’ Roll”), Yankovic has made it a point to get permission from the artists he’s goofing on. This is not a legal obligation — fair-use copyright laws allow facsimiles in the interest of satire — but rather a matter of courtesy, a fanciful concept that has not yet been successfully translated into HTML code. Famously nonconfrontational, Yankovic goes to great lengths to avoid offending the originators of his subject matter.2 In the case of “Fancy,” that meant flying out to a concert in Colorado to ask for Azalea’s blessing in person. Normally, this is handled behind the scenes by the artists’ managers; Yankovic himself rarely gets involved. But Azalea’s team was slow in responding to his request, and Yankovic was under the gun to finish Mandatory Fun, so he made a personal appeal. Somebody captured the moment on video, and the video ended up on TMZ. As Weird Al albums go, Mandatory Fun is entertaining enough. The question is whether these songs should’ve been packaged into an album or simply released as he made them. For now, Weird Al would rather not answer that one. “Is the album dead?” is an old canard that comes up regularly in very thinky think pieces each time another mediocre quarterly sales report is released. But as it pertains specifically to musical parody albums, the format truly does seem to be operating on dial-up speed in a breathless, web-oriented universe. At least the Lonely Island and Tenacious D are known for original material, which makes buying their albums seem sort of worth it. But Weird Al subsists solely on the rapidly staling bread of pop-culture ephemera. He might have benefited from the record-label system for much of his career, but his music was proto-viral back when the Internet was just an idea hypothesized by Weird Al–loving Poindexters. Then the Internet did what the Internet does, waving a magical aggregation wand over a measured statement about changing up distribution strategies and transforming it into “WEIRD AL IS RETIRING!!! !” The din eventually grew so loud that Yankovic was compelled to write a blog post to announce that he was not leaving the music business. Lest there be any doubt: Weird Al still has a loyal and passionate fan base. Yes, his followers are stereotyped as white and nerdy, but there were enough of them to make “White & Nerdy” (his takeoff on Chamillionaire’s “Ridin’”) Yankovic’s first top-10 hit in 2006, 23 years after the release of his first album. That song was released right when YouTube was taking off, and in the same way that Weird Al’s most iconic music videos from the ’80s and ’90s (“Eat It,” “Fat,” “Smells Like Nirvana,” insert your personal favorite here) came to be fixtures on MTV, his latest material was ideally suited for the new web channel. In fact, Yankovic suspected he was doing better online than his balance sheet suggested. Sure enough, an audit discovered that Yankovic was owed royalties from YouTube clicks and iTunes downloads. Two years after approaching Sony with the discrepancies in 2010, Yankovic sued his record company for $5 million. (The two parties settled in December.) If Yankovic was looking for extra motivation to rethink his future association with record labels, this surely didn’t hurt. With Mandatory Fun, Yankovic has reached a crossroads in terms of not only his business interests, but also his cultural relevance. Weird Al has been mocking pop stars longer (sometimes many years longer) than most contemporary pop stars have been alive. This year marks the 35th anniversary of Weird Al’s first hit, the accordion-fueled “My Sharona” parody “My Bologna,” which was recorded in the bathroom across from Yankovic’s college dorm room and popularized on Dr. Demento’s radio show. Yankovic, a self-described “alternative and indie” music fan, admits that pop isn’t especially relevant to him anymore as a middle-aged father, though he insists that his song parodies always come from “a place of respect and admiration.” The thornier issue for Weird Al is that pop music isn’t turning out legacy artists with the same frequency. Weird Al credits Michael Jackson for his initial success, because MJ approved of what Weird Al did to his songs and videos (even allowing him to use the same set for “Fat” that Jackson used for “Bad”), and also because the ubiquity of that music lent Weird Al’s jokes extra resonance. Nobody had to explain why a bespectacled, curly-haired, mustachioed white man wearing Jackson’s iconic red leather jacket was funny. Jackson’s iconography was already implanted in the mass consciousness; all Weird Al had to do was juxtapose it with his own warped sensibility. But as the record industry has dissipated and popular taste splintered, Weird Al’s comedic canvas has also shrunk. One way that Weird Al is adjusting is by releasing a new video from Mandatory Fun every day for eight days, starting yesterday. Yankovic got “zero money” from his label to make the videos, so he partnered with many of the web outlets he has in some way influenced, including Funny or Die, College Humor, and Nerdist. If Weird Al is worried about any of this, he wouldn’t let on about it. He insists he’s excited about the future. As possibly the most famous song parodist who’s ever lived — with six platinum albums, four gold albums, and three Grammy Awards to his credit — Yankovic is either on the cusp of another reinvention or terminal marginalization. For now, he is sticking to his usual plan, which is going wherever pop culture points him. In 2011, Yankovic had trouble getting permission from Lady Gaga to turn “Born This Way” into “Perform This Way.” (The delay in approval was chalked up to “miscommunication” between their respective camps.) The most consistent holdout against Yankovic’s appeals has been Prince; in a 2011 Wired interview, Weird Al told a story about sitting in the same row as Prince at the American Music Awards, and being told in advance via telegram not to establish eye contact with him.